If your dream is to become a Disney Channel actress, don't rely on sheer luck to get you where you want to be. 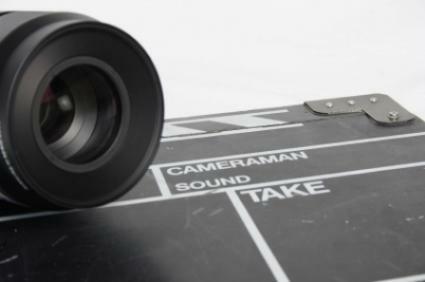 Landing one of these coveted acting spots can take a tremendous amount of effort and talent. Rarely do actresses - Disney or otherwise - fall into a role without some type of preparation beforehand. It is incredibly unlikely that you are going to wind up getting "discovered" while walking down the street. The Disney Channel is well known for launching the lucrative careers of many entertainers, and as a result this is the type of acting gig that you can expect to be aggressively pursued by both seasoned actresses as well as newcomers. In other words, if you want to become a Disney Channel actress, you will need to work for it. One fundamental requirement to become an actress on the Disney Channel is to learn how to act. This can be accomplished by enrolling in acting classes, both in school and outside of school. If you are serious about your pursuit of landing a Disney Channel acting gig, consider professional acting workshops and classes to be essential requirements in your growth as an actress. Even if you are an incredibly talented actress, it is certainly worth it to attend classes and workshops that will help you hone your skills. Walking into an audition for a Disney Channel role will be a little less nerve-wracking if you have practiced the audition process numerous times with a professional acting coach. When you look at the most successful Disney Channel actresses it becomes apparent that the majority of them display talents beyond acting. Most of them can sing, dance, or do something else proficiently that increases their credibility as professionals. For this reason, include voice, dance or other performance related lessons into your schedule. Your acting resume will look much more appealing to Disney if you can list the additional talents you have such as playing an instrument or being en pointe in ballet. Navigating the process of finding and attending auditions for Disney Channel shows can be much easier if you have a manager or agent. While some actresses start out their careers with parents as managers, professional agents have helpful industry connections and experience that most parents do not have. An agent will make sure that you audition for whatever roles you are appropriate for while also ensuring that you have all the tools you need including a suitable headshot and resume. In return, agents take a percentage of your acting earnings. Find an agent who has experience in landing Disney Channel auditions for actresses. Disney casting executives typically rely on select agents when looking for new talent, so make sure that your agent has either worked with Disney before or has a professional affiliation with another agent who deals with Disney and who works with other agents. Your agent will alert you of upcoming Disney Channel auditions, but you do not have to rely solely on your agent for this information. To find auditions for Disney Channel roles (or to audition for other roles to increase your level of professional experience, which is an excellent idea when not actively pursuing a Disney Channel role), use a website Disney Channel Auditions. It lists upcoming Disney auditions but also lists other auditions so you can stay busy with acting while awaiting your big break. Keep trying! Just because you do not land your first role, just getting your foot in the door with a Disney audition may have casting directors think of you for a future role.